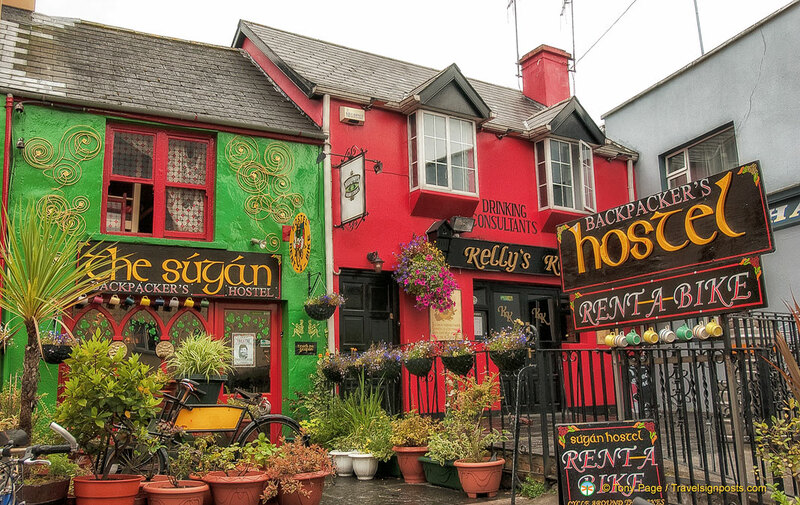 Killarney is Famous for its beautiful landscapes and Pubs! Situated in the south-western corner of Ireland, Killarney is the tourist capital of Kerry, and the second most popular tourist destination in Ireland. Killarney National Park is world famous and its three lakes and surrounding mountains and woods are a great attraction for visitors who come to enjoy the mesmerizing scenery, fish on the lakes, enjoy boat trips, mountain-climb or walk the trails. In spite of its popularity, the area remains pretty unspoilt. Killarney is also rich in stately homes, historical castles and monuments. Some of its attractions include Muckross House, Ross Castle, Muckross Abbey and Inisfallen Island with its monastic ruins. Killarney village has a wide variety of accommodation, ranging from excellent hotels to cosy guesthouses and farmhouses. This bright and cheerful village is a hub of activities, with many colourful restaurants, shops and pubs. What stood out most for us when we explored this quaint town was the number of pubs in this little place. No one goes thirsty in Killarney as pubs abound. Food is also easy to find in Killarney as most pubs and hotels usually serve food at the bar during the day. Cafes and restaurants can be found on virtually every street in the village and the smell of freshly baked breads wafting from the bread shop makes you want to stop for food. We searched out Gaby’s Restaurant as we had read that it is the best seafood restaurant in town. Its interior incorporates seafaring memorabilia and the menu is interesting, but a touch pricey. The Flesk Restaurant also specializes in seafood and is apparently very popular with American visitors. Its drawcard – hearty meals at reasonable prices. 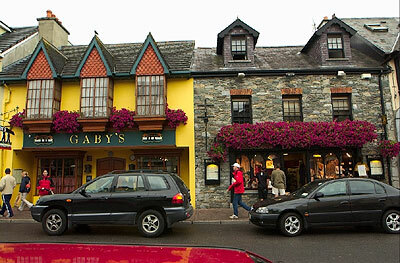 Killarney is pleasant village to be in and an ideal base for touring West Cork, the Ring of Kerry, Dingle and Tralee. We thoroughly enjoyed our stop here.